If you are feeling unloved and unwanted by your partner, you are not alone. In fact, I have traversed this negative experience as well. Two years ago, I felt that my partner took my love for granted. I have done everything for him—support him with his career, cook his favorite meals, and defend him from my disapproving parents. Despite this, I felt that I am still not one of his priorities. So, what should you do if you feel unloved and unwanted by your partner? Consult the help of a therapist. The foremost thing to do is to conduct an internal check. If you have confirmed that there is indeed a shortage of love and desire from your partner, that’s the time you can do the five-step plan. As mentioned, an internal check is necessary when you are feeling these unwanted emotions. This way, you can confirm that it is indeed happening. You can also measure from this the gravity of the problem in your relationship. Is there any demonstration of care? Are they doing something to make you feel less alone and less afraid whenever you are experiencing personal and work problems? Are they with you emotionally at all times—for both the good and bad? Are they eager to give the same (or even more) affection from what they receive from you? Is there willingness to understand what you are feeling and experiencing? Is the sharing between you consistent? Do they proclaim their love to you depending on what you like (not from their demands)? Is your relationship full of openness and honesty? Do they make you a priority in life? If most of your answers are “yes,” then feeling unloved and unwanted might be just in your head. The best way to go about this is to reflect on yourself and find the good things in your relationship. Doing this might release all the anxiety you are feeling. However, if you have answered “no” to most, if not all, then there is a problem. The best approach is to do the five-step plan to be able to salvage the relationship with your partner. There is no theory nor model for this five-step plan. When we were solving my relationship crisis (and hearing the stories of my troubled friends as well), I have developed this five-step plan. You should be transparent with what you are feeling. You are in a relationship. Hence, it is essential that both of you are open and honest. Be specific with what you are feeling and do not sugarcoat anything. 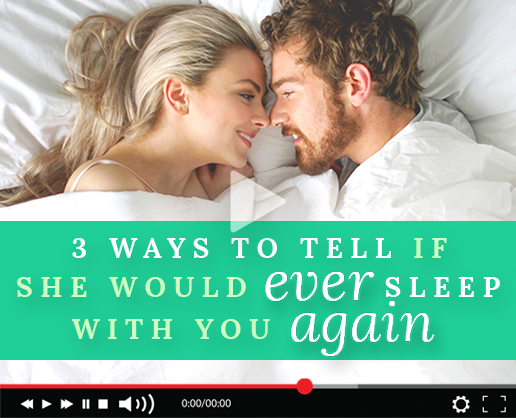 Tell your partner what you like and things that can be improved instead of just stating the things that are missing. Remember not to accuse them. Rather, make them feel the gravity of the situation. Lastly, do not forget to listen. Some people find it easy to say “I love you” to their partners. However, there are others who are having a difficult time to utter these phrases of love. It may seem that occasionally saying this is not enough, but it could be a big thing for them. If you both are familiar with your love languages, it will now be easier to show your care and love to your other half the way they want it. Start with a clean slate; it’s fine if you want to go back to square one. Do not be trapped in a world full of negativity. This way, it will be easier for both of you to get past this relationship bump. Now that you have started all over again, it is important to state within yourselves both your needs and expectations. This part is essential so that both of you won’t go through the hump you have experienced before. Remember to keep working on making yourself happy. If you are satisfied with yourself, it is way easier to work through with the problems in your relationship. If you think that you have tried everything to save the relationship but it still isn’t working, it is better to call it quits. There is no point in staying in a relationship that is making you feel unwanted and unloved. Don’t be scared if you reach this point. There are just times that relationships do not survive despite giving it your best shot. While these feelings are hard to overcome, there are many relationships which face the same situation. Hopefully, both parties put some effort into fixing the damaged relationship. This way, they’ll find their way into their honeymoon days again—just like what we did. Learn the Forbidden Sexual Triggers That Awaken Her Inner Bad Girl. This Secret will change your life forever. Use these 3 love triggers that will pave the way for an overwhelming sense of love in your heart—with or without a partner. Be the first to comment on "What to Do If You Feel Unloved and Unwanted by Your Partner"